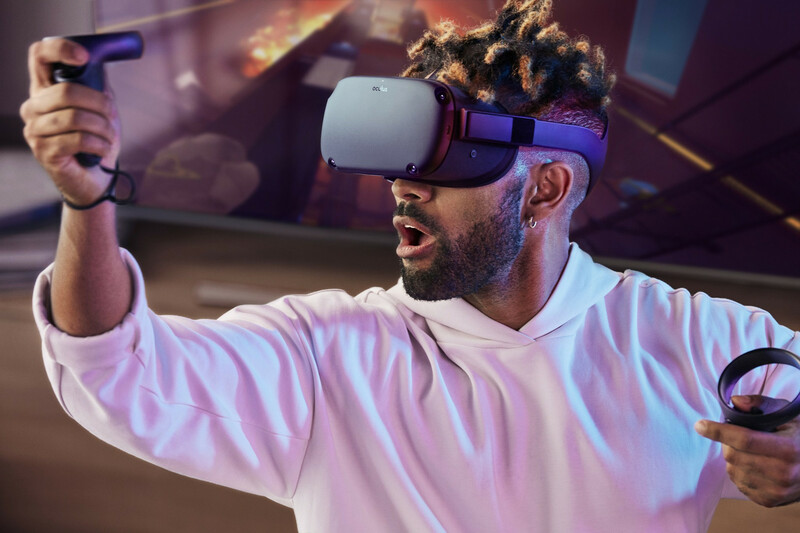 The new Oculus Quest is the company’s latest attempt to woo mainstream consumers into the world of VR technology. The device is something of a cross between the more expensive and specialized Oculus Rift headsets, and its Oculus Go headset. It is the first device from Oculus to marry a wireless design, virtual hand controllers and full positional tracking, which is considered to be the sweet spot to appeal to consumers still sitting on the fence when it comes to buying into the VR experience. The Oculus Quest is a true 6DOF (six degrees of freedom) headset, which is a key feature missing from the similar, but cheaper Oculus Go. This allows gamers to move freely on the X, Y, and Z axes in three-dimensional space with yaw control. Supplemented by a pair of Touch controllers, users can jump straight into a game without worrying about an external PC, wires or external sensors. It utilizes the new Oculus Insight tech that uses four ultra wide-angle sensors and computer vision algorithms to track a user’s exact position in real-time. The system even allows users to go beyond a room-scale experience as well. The display resolution is 1600 x 1440 per eye (the same as the Oculus Go), but will also come with improved audio. The Oculus Quest will launch in the spring of 2019 for US$399 for a 64GB model. It will be supported by over 50 titles on launch, including a brand new Star Wars VR game called Vader Immortal – Episode 1 that takes place between Star Wars Episode III: Revenge of the Sith and Rogue One: A Star Wars Story.